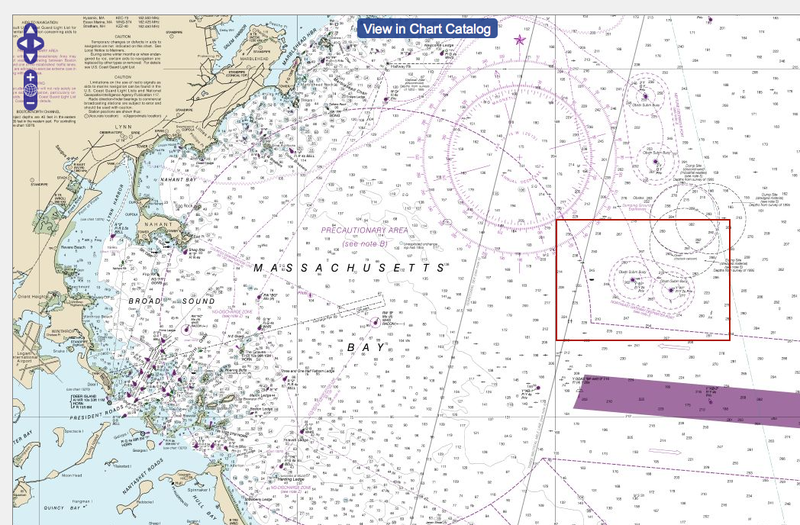 Original reports that the whale watcher was caught in a lobster pot sounded so absurd that a quick check shows what really happened, which is again another good reason to study navigation. After multiple descriptions of the location in the public media, the USCG finally reported the location as 13 mi East of Nahant, MA. As shown below. Zoomed in to see the region below shows how this area is charted. Now we come to our classroom preaching... always read the chart! Below is Note J. And next comes the power of the Internet. 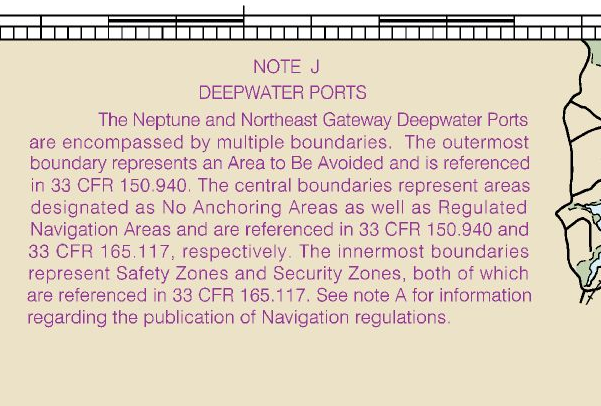 We just google 33CFR 150.940 and read what the regulation really says, just part of which is below. "...Initial attempts by the divers to clear the line from the propeller were unsuccessful. 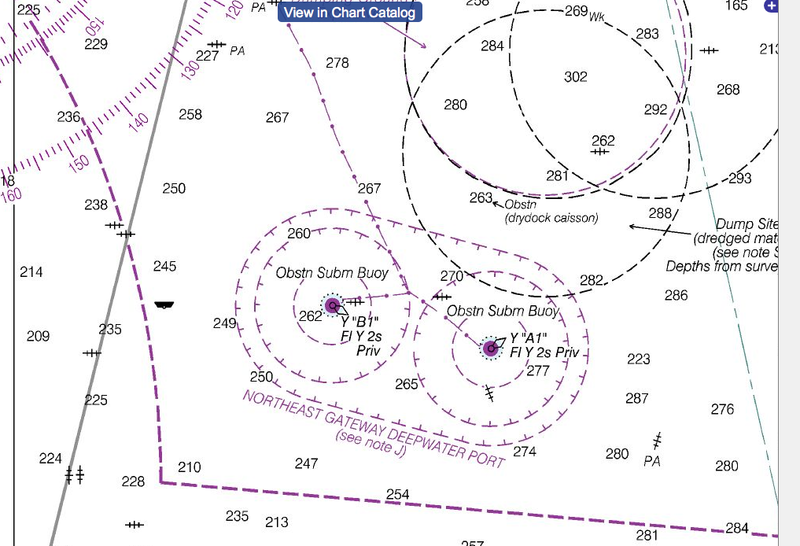 Original reports indicated a lobster pot line was caught in the propeller, but further analysis revealed it was a cable from Northeast Gateway's offshore facility which required additional dive resources and heavy duty equipment for removal. Considering the dangers of an at-sea night operation, a passenger transfer was deemed unsafe until morning. Meanwhile, Boston Harbor Cruises provided additional water, food and blankets to the passengers." In other words, someone else has now looked at a chart! To repeat the message, if you do not want your passengers spending the night at sea when they planned on just a 3-hr outing, then read the chart.